This beautiful dress serves as the ultimate evening ensemble. 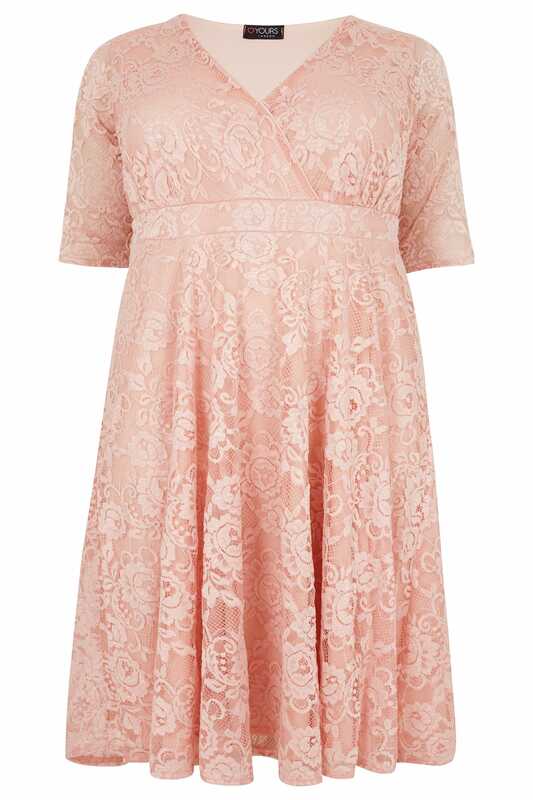 In an elegant floral lace design, it is cut to a midi length in a wrap style and features a v-neckline and 3/4 length sleeves for the perfect amount of coverage. Team with high sandals, a box clutch and sparkling jewellery for a glamorous look. 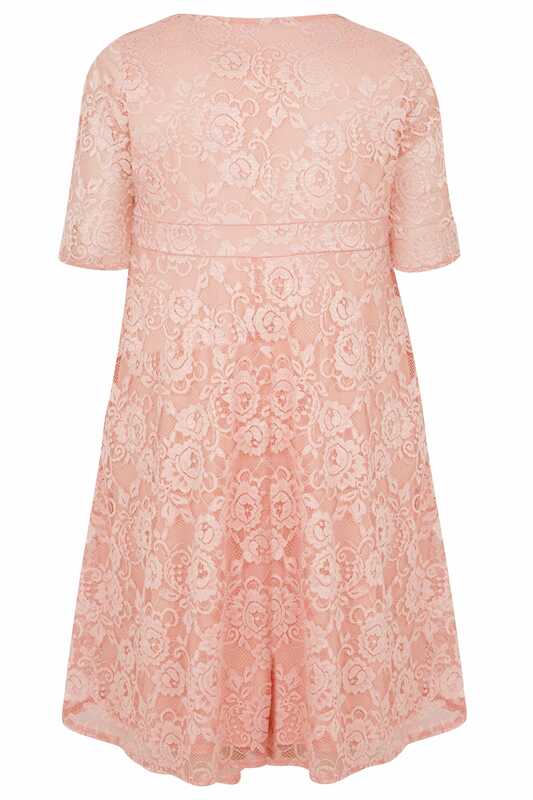 A timeless must-have, we are loving the pretty pink hue.